What do you do during the daily commute? Well, you could be like the 356m or so other people across the globe who sit on packed trains, busses and metro systems each month playing one of the addictively good mobile games made by British games designer King, such as Candy Crush Soda, Candy Crush Saga, Farm Hero Saga. The three games sit as the second, third and sixth spots in the top ten highest grossing games in the android store, oh for want of a Apple device to see where they sit in the Apple App store. Throw in the Bubble Witch and Pet Rescue saga and King have five of the top grossing twenty casual games around. 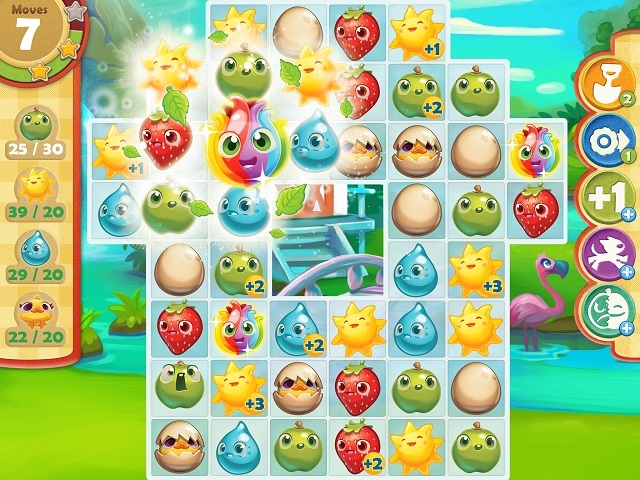 These amount to some of the most successful (in both player numbers and revenue) casual games in the world right now which have allowed King to develop into a global brand with merchandising and other channels in development as well as opening game studios in London, Stockholm, Malmo, Bucharest, Barcelona, Berlin and Singapore. 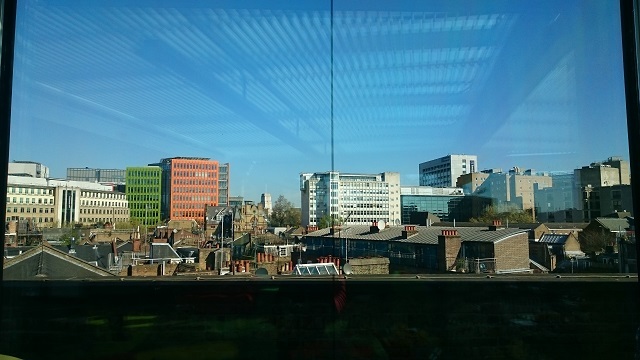 So, why was I at King’s trendy London design studio last week? I was invited there as part of their promotion for Farm Hero Saga. 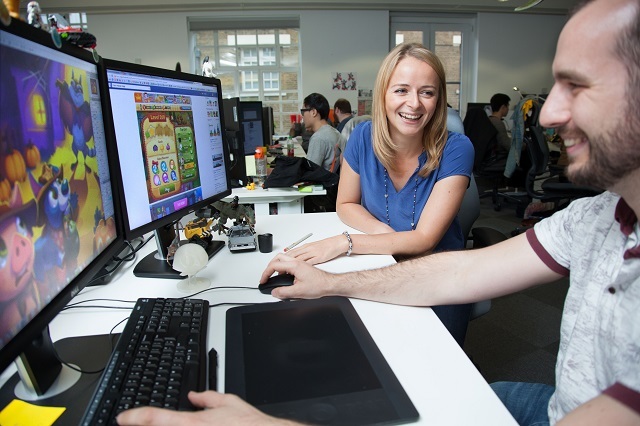 I took up the chance to pop down and meet the design teams as well go behind the scenes as I’ve spent many an hour on the tube whiling away time with Candy Crush. I was told as I’ve not switched over to one of the newer variants I’m known as a ‘purist’. I hadn’t played Farm Hero Saga till I was invited down, so I spent the evening before hand whizzing my way through the first 30 or so levels finding out if it is a playable as Candy Crush. I can confirm it is just as easy and frustrating to play as Candy Crush can be. Casual gaming at its finest. 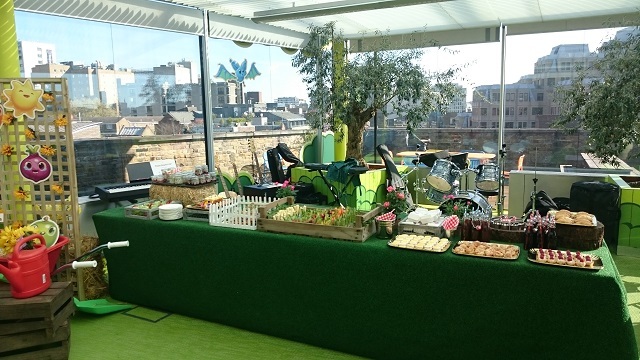 We started with breakfast in the rooftop garden area, decorated in a Farm Hero Saga them, for a ‘farm style’ breakfast followed by a walk through of King as a company by and the game itself. Our talk on King as a company was given by Catharina Lavers Mallet, UK studio head followed by an walk through of the game itself and introduction to the process of creating an original game by Caroline Krenzer, Lead Farm Heroes Saga Producer. The game you play casually on the tube for ten minutes here and there is very different from the one you might sit down and play for an evening. 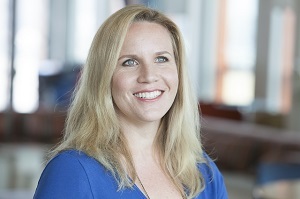 Ms Mallet (UK Studio head) believes there is a lot of overlap between different gamer demographics, because different situations call for different gaming experiences. It’s interesting hearing about how you go about either running a hugely successful games design studio and how new game ideas are born and developed. From inception, an idea born around the table with people from every department giving creative input to a conceptualisation and development into a fully fledged casual game. The process behind creating one of these games is anything but casual. From the marketing to business development to creative and artistic teams, everyone has input in crafting what will become the perfect game for King’s market. Not exactly giving us what we want, more what we need. And this also comes through in Catharina’s push to develop content – in the form of new games – away from the casual gaming market as they seek to crossover different gamer markets. One of my favourite parts of the behind the scenes tour came later when we were invited to try our hand at creating a Farm Hero Saga level. As someone who likes to peek behind the scenes and see how things work this was a real treat. It’s interesting to see that levels can be built very rapidly using a graphical creator. The ‘board’ is already there and all you need to do is drop in your obstacles. Obviously we were using a ready made template and characters, but it was still fun to do. Creating new levels from scratch, with characters, themes and detailed graphics takes a lot longer and a much more skill that just adding the odd egg here or there. If you love casual gaming on the go King have a great range of different games and for those who still think gaming – casual or console- is just for the guys. Over half their users are women and the studio head and lead designer are women too.